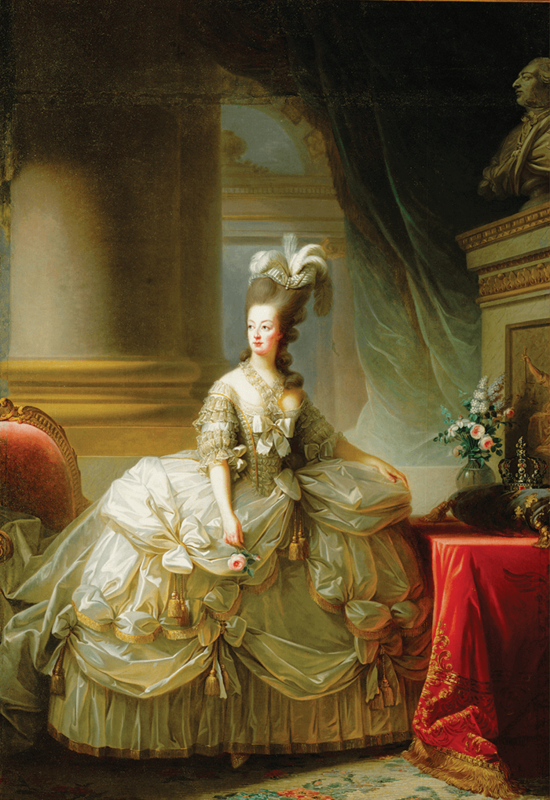 Queen Marie Antoinette of France, born in Austria in 1755 and married at 14 years old to Louis XVI, has left behind a legacy of extravagant fashion ideas across Europe. Her personal annual wardrobe allowance – equivalent to US$ 3.6 million today – often tended to double in accordance with her expenditure, therefore inspiring her nickname, ‘Madame Deficit’. 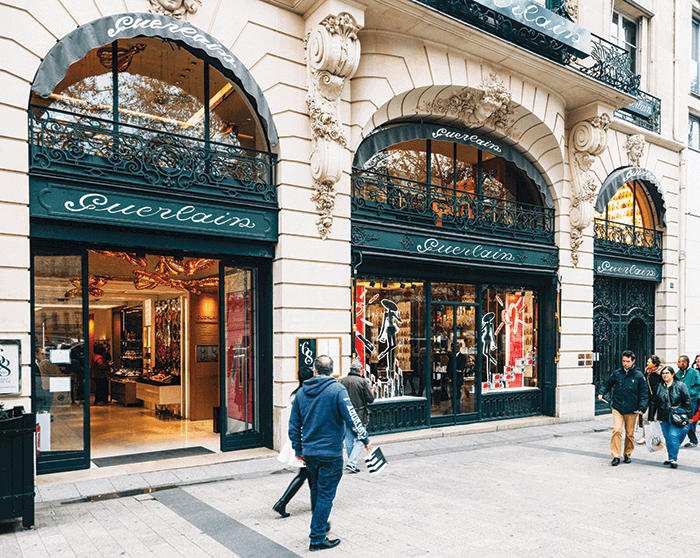 Her lavish patronage benefited many master craftsmen, whose businesses are still surviving and provide an enchanting shopping trail through the beautiful city of Paris. Diamonds and sapphires, used as dress pins, came from Marie Antoinette’s favourite jeweller, along with her cameo bracelet, bought in 1781: Mellerio dits Meller, 9 Rue de La Paix. Mellerio is noted now for ‘oval in an ellipse’ diamond cutting with a 57-facet sparkle. In 1782, the queen bought what was then an innovative self-winding watch from master watch maker Breguet, tucked into a corner of Place Vendome. In 1788, Breguet received an anonymous order to make Marie Antoinette a watch containing every mechanical device known at the time. Finally completed in 1827, long after the queen’s execution, the watch – worth US$11 million – had a mysterious journey, finally disappearing from a museum in Jerusalem, in 1983. Today, Breguet issues new designs every year in the month of May. Some of the finest timepieces in their collection include the Queen of Naples diamond set watch, in 18 carat white gold. Breguet is also home to an in-store museum, which includes a 1782 sounding watch and 1810 pedometer for measuring a soldier’s marching. Iris, jasmine, tuberose, orange flower, cedar and sandalwood were blended together to make the queen’s personal perfume. Today, an exclusively formulated perfume can be had for US$ 40,000 at Guerlain’s headquarters on the Champs Elysées. 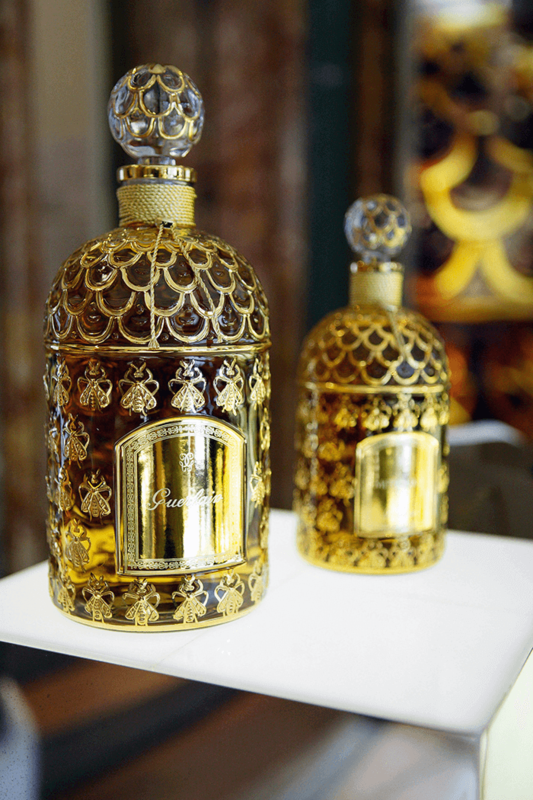 The store, dating back to 1914, is a heady experience in itself – gilt basins, marble floors, oak panelling, tapestries, a museum, Giacometti golden sconces, a 10-foot atomiser, wall dispensers for refilling scent bottles and more. A hint of what a perfumery was like during Marie Antoinette’s time presents itself at Maitre Parfumeur et Gantier, 5 Rue des Capucines. Courtiers would bring their wigs and gloves here to be perfumed. Today, you will find scented soft leather gloves here, being sold in a luxurious gilded setting. Marie Antoinette was an avid interior decorator, continually updating her apartments. The Louvre museum displays some of the décor pieces that were designed for her. 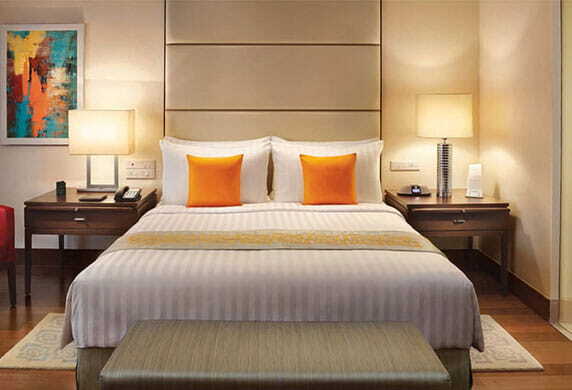 For more regal room inspirations, Prelle, 5 Place des Victoires is the place to be. Dating back to 1792, it holds the French fabric archive, period patterns and a fabric shade based on Marie Antoinette’s ash-blonde hair. Recently, it also displayed a brocade designed for the queen, to cover her chair. Marie Antoinette wasn’t too fond of the formality of Versailles, and Louis XVI gave her the nearby Le Petit Trianon, where his father had entertained his mistresses and which is now connected to Versailles by a miniature train. The queen redecorated it and rebuilt the garden with grottos, water features, mock temples, a theatre and a miniature farm where she kept perfumed sheep. At the king’s Rambouillet hunting chateau, Marie Antoinette had a dairy where she made butter and hosted tea parties. For the latter, she would use Sevres’ Etruscan-inspired cups and dishes. Bernardaud, 11 Rue Royale, sells ‘identical replicas’ of the queen’s dairy china including her dinner service patterned with cornflowers, her favourite. For Versailles cutlery designs to go with the china, head to Odiot, 19 Avenue de Friedland, which was founded in 1690. Though she had an array of servants to prepare her meals, Marie Antoinette ate light and loved sweetmeats. Director Sophia Coppola, for her movie about the queen, worked with patisserie Ladurée to create Marie Antoinette’s cakes and pastries. Louis XVI and Marie Antoinette’s physician and pharmacist, Sulpice Debauve, even devised a way to give her medicines a sweet twist: in 1779, he blended the medicine for the queen’s headaches with cocoa butter, vanilla, almond milk and orange water. Marie Antoinette loved the medallions he thus prepared, and called them the ‘queen’s coins’. These are still made and sold in gilded, crested boxes at Debauve et Gallais, 30, Rue de Saintes Peres, where Balzac, Proust, Simone de Beauvoir and Anatole France became customers and were served at the still-used half-moon counter designed by Napoleon’s architect. 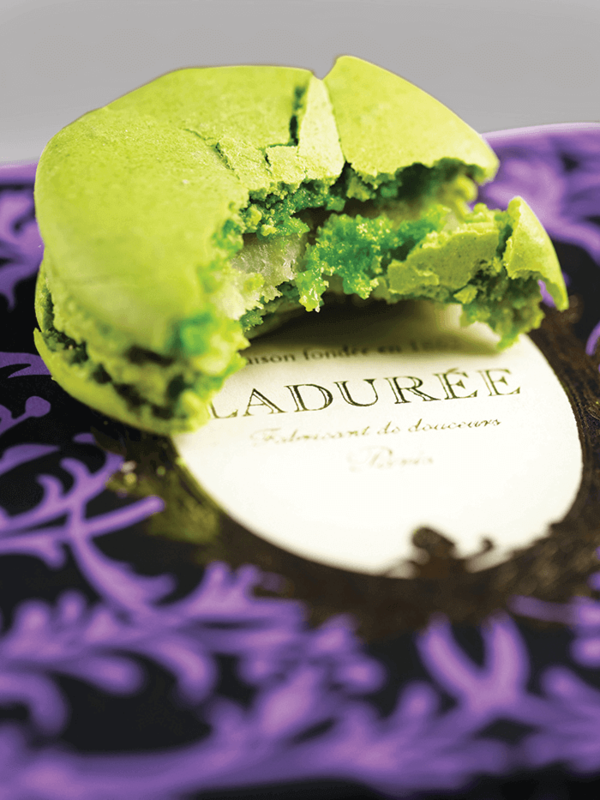 The medallions make for a sweet Parisian souvenir and transport you to a regal era bygone.